There are so many reasons to celebrate food. Their ability to not just sustain life, but to improve it, is certainly high on the list, and superfoods definitely fit the bill in that regard. A relatively new name given to a select few foods, these superior sources of nourishment are chock-full of nutrients, giving our bodies everything from antioxidants to polyphenols, vitamins and minerals. Touted ‘super’ for their ability to provide a plethora of health benefits, it’s important to become aware of the ones that should be at the top of your grocery list. And if you’re looking to improve your arteries, whose health is pertinent to your overall wellbeing, then you’ll want to read on. The arteries play an important role in the body, carrying blood, rich in oxygen, from the heart to various tissues throughout the body. What hinders this process is the presence of plaque, which can build up on the inner walls of the arteries, making it harder for the blood to flow properly. Plaque occurs as a result of many different factors, including coronary artery disease, carotid artery disease, peripheral artery disease, a heart attack, and a stroke. 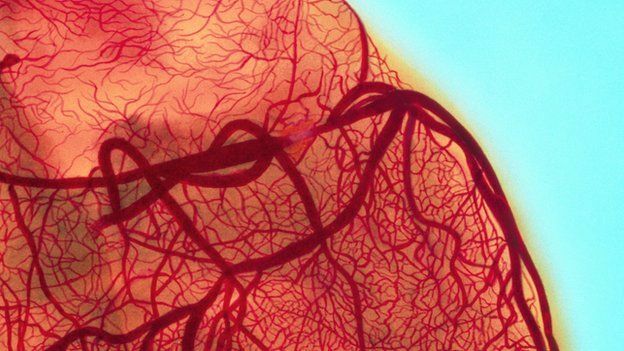 There are many superfoods that can keep your arteries clean and unclogged, however. This fresh, tart fruit is such a versatile item in the kitchen, from being a topping for your oatmeal to a wonderfully colorful side to your meal. Rich in potassium, cranberries can help lower LDL cholesterol levels and raise HDL levels. Research has even found that consuming them regularly can lower your risk of heart disease by a whopping 40 percent. It makes your kitchen smell like culinary perfection as soon as it hits the pan, but garlic offers up much more than simply a sensational scent. It also improves your artery health by reducing LDL cholesterol levels. A study conducted at the Centre for Cardiovascular Pharmacology in Mainz, Germany, also discovered that garlic aids in cardiovascular health as people age. Avocados seem to be on the top of everyone’s list of much-loved foods these days. Sliced in salads, topped on toast, or used as a perfect healthy fat replacement in your sandwich, they’re more than just delicious, they’re extremely good for your arteries, reducing LDL cholesterol while increasing the HDL level in your body. They’re also rich in vitamin E, which works to ward off cholesterol oxidation. The potassium in avocados also helps to lower blood pressure. Furthermore, a 1996 study conducted in Mexico found that, when people consumed just one avocado a day for one week, their blood cholesterol dropped an average of 17 percent, while their levels of LDL decreased and their HDL increased. The curcumin found in this savory spice serves as an anti-inflammtory that works to keep arteries free from hardening, which can cause harmful blockages. It’s also rich in vitamin B6, which prevents damage to the blood vessels and the buildup of plaque. The spice also reduces LDL levels as well as cholesterol oxidation. Whether you’re tossing it into your salad mix, throwing it into the blender for your morning smoothie, or sautéing it for a delicious side to your meal, spinach is a serious superfood to love. Aiding in artery health, it is packed with potassium and folate, which can reduce blood pressure. Research has even found that spinach can preserve heart health by enhancing nitric acid functions, which work to keep circulation, blood pressure and blood vessel health optimum. This tasty and healthy fish is rich in the omega-3 fatty acids docosahexaenoic acid (DHA) and eicosapentaenoic acid (EPA), which not only help to lower blood pressure, but also improve HDL cholesterol levels, decrease triglyceride levels, and ward off inflammation of the blood vessels, which can cause blood clots in the arteries. An amazing supplement to salads and sautéed vegetables, extra-virgin olive oil is complete with a healthy mixture of the antioxidants polyphenols and monounsaturated fats. These work to keep plaque at bay by lowering levels of LDL while upping your HDL. In fact, a study conducted in 2011 discovered that people 65 and up lowered their risk of having a stroke by 41 percent by consuming olive oil consistently, whether it be for cooking or drizzling raw on prepared meals. Whether you’re sprinkling pomegranate seeds in salads or drinking the fruit’s juice, you’re going to enhance your artery health. Pomegranates contains phytochemicals, which work much like antioxidants, keeping the lining of the arteries healthy. A 2005 study found that the juice of this fruit stimulates the production of nitric oxide in the body, which aids in blood flow and helps the arteries remain unblocked.